There are eight teams in the IPL 2019 as always and they all are good teams. But the important role in a team is the Captain and the coach also. So here I am going to discuss the Captains and coaches of all teams in IPL 2019. Cricket is a game of 11 players and if a team has to win, all players will have to do their best. But before that here also comes the important role of coaches. Coaches train the warriors to fight on the battlefield. Coaches train the players to handle the pressure, to improve their game and to give their best, off the field. The captain motivates his team-mates on the field. The right choice of fielding, the right choice of bowling, coming out from pressure, all these things are done by the captain, on the field. So now talking about IPL 2019 their are eight teams and all of them want to have the best captain and best coach. Teams make few changes time to time in captaincy or coach. That is the Interesting thing about IPL, the franchise can never be sure about picking a certain player. Here below I am going to talk about all IPL Teams Captain and IPL all teams coaches. In IPL 2019 there are going to be some major changes in the IPL Teams Captains name. As we know both the Australian Player Steve Smith and David Warner are coming back to the team. 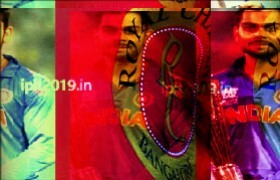 I will elaborate on all factors in this blog about IPL Teams Captains. I am giving the whole list of IPL Teams Captains and IPL Teams Coaches Team by Team. Check all the details and comment below if you have any suggestion. The captain of Mumbai Indians is none other than our own hitman Rohit Sharma. After winning three titles of IPL 2013, 2015, 2017, there was no discussion left to do for this spot in Mumbai Indians. In the beginning, Ricky Ponting was named as the captain of Mumbai Indians in the beginning but due to his horrid form Rohit Sharma got a chance and taken charge of Mumbai Indians. Apart from being a successful captain, Sharma is also one of the leading run-scorers at the IPL with the total score of 4493 with the strike rate of 131 plus. Rohit Sharma is one of the best IPL Team Captain among all the IPL Teams Captains. Without any doubt, Mahendra Singh Dhoni is the best captain in any kind of cricket. So no doubt with the re-entry of Chennai Super Kings in IPL 2018, Mahendra Singh Dhoni was selected for captain. He is leading Chennai Super Kings since the beginning and proved himself as the best captain in IPL. 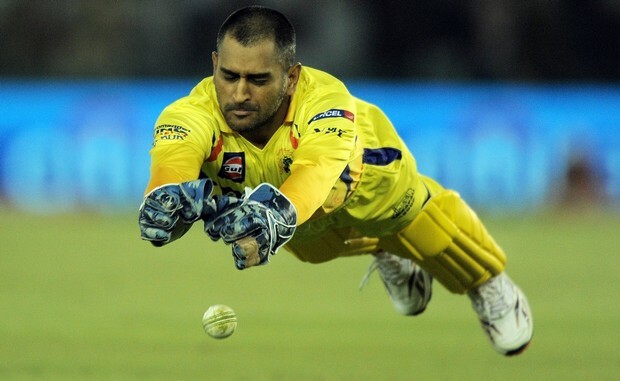 Dhoni also has been the most important member of Chennai Super Kings. Chennai Super Kings came again in 2018 after 2 years of suspension and they won the trophy for the third time after winning IPL 2018 trophy. Dhoni is in the top ten most run-scorer list in IPL scoring 4016 runs with the strike rate of 138.2, so he is on the number one IPL 2019 Teams captain's list. After having such a great batting squad, it really hard to digest that Royal Challengers Banglore have never been able to win the title even once. Thus they have made it thrice to the finals. Having Virat Kohli as the captain in the team, fans hopes were high but again Royal Challengers Banglore disappointed the fans and ended up second last in the points table. No doubt Kohli is a good player and captain too but he did not deliver what the fans and the franchise were expecting. With 4948 runs against his name, Kohli is second in the chart only behind Suresh Raina. There are some reports says that AB de Villiers will be captain of IPL team Royal Challengers Banglore in IPL 2019. After trimming the player's list for IPL, KKR had no big name on the board for Captain. Also, there were no international captains in the ranks, and then there were only two options left Robbin Uthappa and Dinesh Karthik. So Karthik was chosen to lead KKR. So Dinesh Karthik is the captain of IPL Team KKR. Before Shreyas Iyer, Gambhir was the captain of Daredevils. But after him standing down from captaincy, Shreyas Iyer became the new Captain of IPL team Delhi Daredevils. Shreyas Iyer is one of the star players of first-class cricket to be seen in team India. He started in IPL in 2015 playing for Delhi Daredevils. After scoring 493 in 14 matches, Shreyas is now one of the star players of the tournament. Since then he has only sharpened his batting. And now he is the captain of IPL Team Delhi Daredevils. Punjab is struggling since the beginning and ended up gaining the bottom spot in points table in seven seasons. The best season for them was in 2008 and 2014 when they made it to the semi-finals. In 2014 they had Maxwell on fire. They never had any captain for more than two seasons, examples of which Yuvraj Singh, Adam Gilchrist, George Bailey. He has taken 110 wickets playing 125 matches in total IPL career. Ashwin led KXIP last year for the first time and again they got the 7th spot in the points table winning only 6 matches out of 14. Let's see who will be the captain of this IPL Team in IPL 2019. What do you think who will lead KXIP in IPL 2019? Rajasthan Royals made their comeback in IPL last year after being suspended for two years. After being back their first priority for the captain was Australian player Steve Smith. The last thing they would have wanted to see their captain getting banned. After Steve Smith getting banned, one of the star players of India Ajinkya Rahane took charge and did well as a captain. But now Steve Smith is coming back in IPL 2019 so undoubtedly he will take over the captaincy from Rahane. So eventually Steve Smith will be IPL 2019 Caption of Team Rajasthan Royals. Sunrisers Hyderabad had a lot of option with experienced players in the team. They had Shikhar Dhawan, David Warner, Kane Williamson. First, they tried Shikhar Dhawan for the captain and then it was David Warner chosen to lead SRH. Warner was doing great in 2015 but after getting banned for ball tampering scandal, Williamson took charge of captaincy. Now David Warner is coming back to SRH in IPL 2019. So it will be quite interesting to see who will be the IPL 2019 Captain of SRH.